I am amazed that I have learnt so much from a single subject, over this short 8-week timeframe. 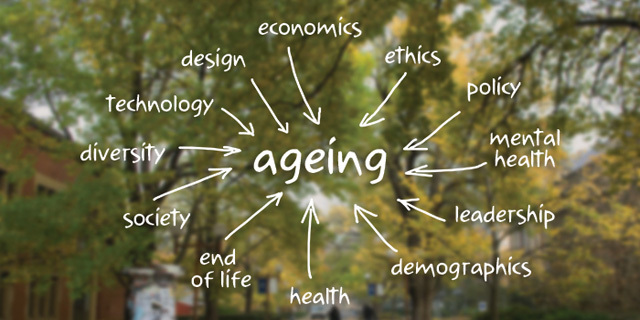 The course content has had me critically thinking about ageing from a range of different perspectives; as a member of my local community, as an ageing person myself and thinking about what the future for older people and myself will look like, as well as from an aged care policy perspective in Australia. The learnings from this subject have played a practical role in shaping and changing the way that I work and the contribution that I make to my team and organisation. As a manager in the aged care industry, it has shaped how I think about our ageing clients, their families and our ageing workforce. Particular topics covered throughout the weeks have presented a wealth of information and alternate ideas to the knowledge and ideas that I already held. This has been experienced right from the very first week, for example, the fact that as a society we typically use chronological age to determine someone’s age, in my line of work, chronological age is use to determine eligibility for services, however this may not be the most suitable measure particularly for the sustainability of government subsidised services, i.e. two 70 year olds may meet the age eligibility requirement however both may hold very different age related needs. Week to week looking at, and understanding, the different topics, global trends and future projections has been particularly helpful and interesting to consider the future viability of the traditional aged care models in Australia, and has incited an excitement in me to consider the potential for future innovations within the industry. Whilst there is vast and diverse commentary on the introduction of consumer directed care and the Aged Care Road Map published by the Australian Government I appreciate the attempt that these legislative and aged care model changes are making to respond to the changing needs of our ageing population. With home care now operating in an open market and the liberties that consumer directed care offers, a new and exciting future awaits. I believe that this subject and future subjects will continue to keep me well informed and a part of future progress with regard to ageing in Australia and the world, hopefully I will also be able to positively impact my relationships within my family, friends and broader community.